If your life revolves around the trade of cryptocurrencies than life must be a bit tough for you to keep track of all the investments you have done. An individual always needs to keep a track of all the prices of the coins constantly. Even with small amount of trading in this field can be really tough for any individual to keep track of their coins. Profit and loss completely depend on keeping good track. So the conclusion to this is very clear, have the best cryptocurrency portfolio management app. This will help all to know about their investments and their real value in the market. 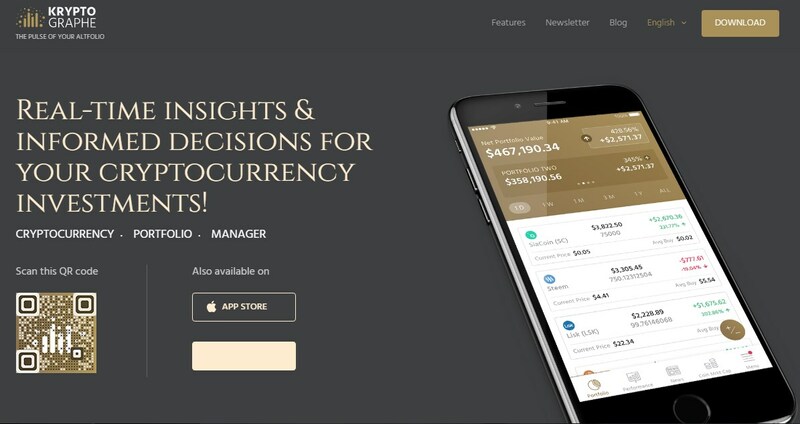 KryptoGraphe is one of the most advanced cryptocurrency management apps developed for Android and iOS devices. Whereas most of the apps make you do all the work for them, like adding your Altcoin details manually, KryptoGraphe has an auto sync feature that will make your life easier. This app has several crypto exchanges like Coinbase, Kraken, BitTrex and more, integrated to auto-sync with your portfolio. And more exchanges are said to be on their way with future releases of the app. With the KryptoGraphe app, you can create and track multiple portfolios, see how your portfolio performs against other users and investors, ranked in a group like Investors in your country, Investor’s Average, Investors with similarly sized portfolios and the top 25% of investors. This app also crunches the numbers and shows you where each coin would rank by growth, on a daily, weekly, monthly and yearly basis. KryptoGraphe comes with a quick overview of today’s market performance, this way you can always be informed of the latest news and updates from the cryptocurrency world. You can even create a watchlist of coins you are interested in, so you can keep a closer eye on them. KryptoGraphe has amazingly clean and functional design and also comes with five different languages you can use it in with more coming soon. If you decided to check KryptoGraphe out you can find it for free at both the Google Play Store and the App Store, available for free.